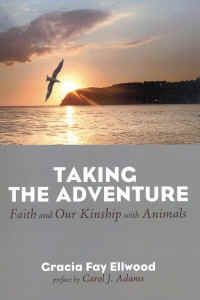 In her preface to Taking the Adventure, Carol J. Adams says that we should be able to ask the animals, "What are you going through?" This is a very profound way of observing ourselves in our relationship toward every other animal on the planet. Gracia Fay says that "the indispensible source of life and of universal compassion we are to incarnate, must be within our hearts." These two statements sum up the soul-searching message of Taking the Adventure. Gracia Fay uses both Biblical and secular stories in the collection of essays that comprise Taking the Adventure to emphasize and show examples of the good and evil that is in our world today and what we should be doing to truly bring peace to the whole of God's creation. She has a wonderful way of weaving in her message with these stories. We highly recommend Taking the Adventure to all who read this review. Gracia Fay Ellwood has taught English at Evansville University and Religious Studies at California State University, Long Beach. She is the author of The Uttermost Deep: The Challenge of the Near-Death Experiences (2001) and editor of the online journal The Peaceable Table, in which the original versions of these essays appeared. 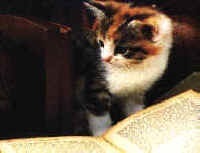 She is a member of the Religious Society of Friends (Quakers).